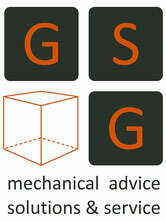 GSG mechanical advice solutions & services - De website van gsgservices! GSG offers innovative turn key service solutions for the Oil and Gas industry @ on-shore locations, off-shore locations and in the fully equipped workshop. Safety, Quality, Flexibility and Reliability are the key values that we offer to our clients. The Company located in Heerhugowaard was formed in 2001 and has grown to a turn key integrated mechanical solutions provider with 15+ staff. Our client base has grown substantially over the years with a wide variety of mechanically orientated scope of work which is a meticulously documented in a digital database. This knowledge is used as base for our clients to offer a unprecedented response to clients requests. GSG stands for Quality flexibility, reliability, mentality, problem solving, will work in a team or individual and will offer clients solutions for improvement that where required will be engineered and build in Heerhugowaard. G.S.G. mechanical advice solutions & service; For all your one stop shop mechanical rotating projects, 24/7.